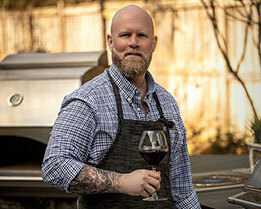 Home Grilling Basics St. Louis-Style vs Baby Back Ribs: Which Bones Should You Pick? 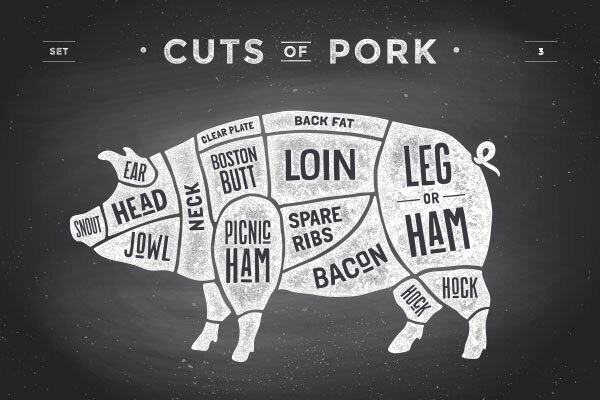 But have you considered what goes into choosing the right ribs for your next cookout? I get asked all the time about the difference between baby back ribs (made famous by that Chili’s restaurant jingle) and St. Louis-style ribs. Given how often this question comes up, I figured it was worth a post explaining the difference between these two styles and why you might want to choose one over the other. Note the small size and curved bones of these baby back ribs. If you really want to nerd out, you might find it interesting to know these ribs contain 20 grams of protein and have 248 calories per 3 oz of meat. 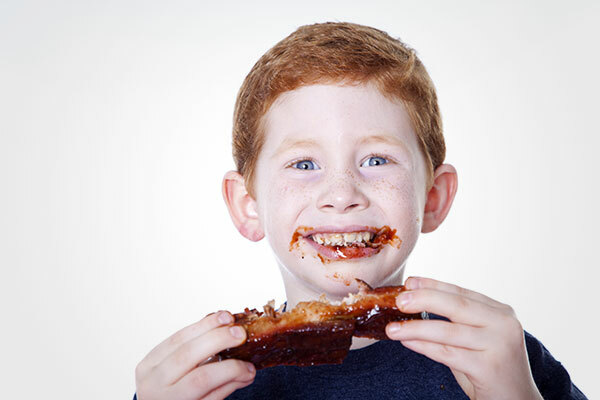 Baby backs typically have eight to 13 ribs per rack and a rack generally weighs between 1½ to 2 lbs. Because these ribs are so popular, their price has gone up over the past few years. That’s not a reason to avoid them, but it is worth keeping in mind when you’re planning a cookout with a large guest list. St. Louis-style ribs (also known as spare ribs) may not be what you initially picture when thinking of ribs, but they’ll get you salivating nonetheless. 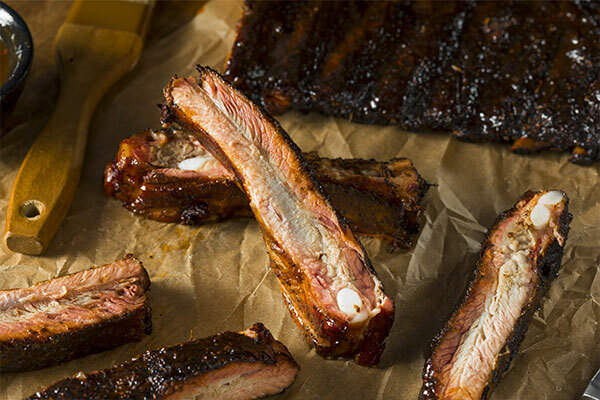 Compared with baby backs, these ribs have more meat on the bone and are fattier, making them a more flavorful choice. They are taken from lower down on the pig closer to the stomach. Upon initially cutting these ribs, the rib tips are removed since they are all bone and cartilage. Once the tips are off, the meatier portion remains as a slab with a rectangular shape. The meat on St. Louis-style ribs is generally considered tougher than baby backs but can be just as tender when properly cooked. These ribs can be had all across the US, not just in St. Louis and are generally larger than the baby backs. The average weight for a rack is between 2 ½ to 3lbs. Since they’re larger, St. Louis-style ribs make a great choice for entertaining a crowd. These St. Louis-style ribs are larger, meatier, and have straight bones. Why are they called “St. Louis Style” ribs you ask? In a 30-year span between 1930-1960, roughly 15 meat packing businesses were founded in the St. Louis, MO area. However, the larger meat packers at the time were selling the spare ribs with the rib tips intact, which was wasting 90% of the rib. The smaller packers decided to change up the game by removing the tips, resulting in their rectangular shape. While the trimmed slabs cost consumers more money per pound, the difference was worth it because the slabs included more meat than waste. 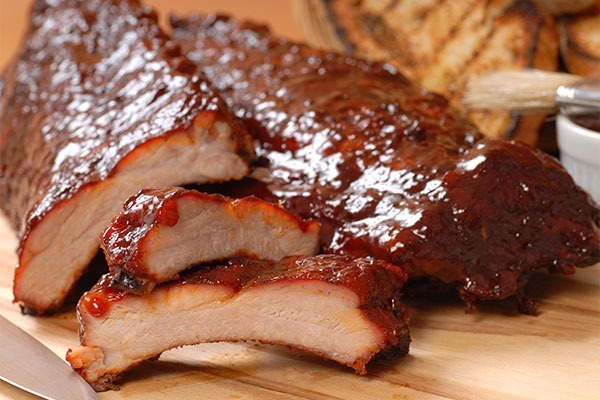 The meaty, rectangle-shaped racks became known as St. Louis-style ribs. 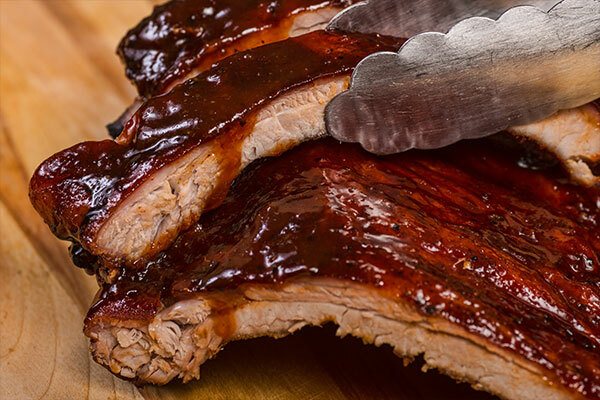 Overall, both ribs are going to get your mouth watering and taste buds jumping. Which one is better is simply a matter of preference. Do you want a smaller leaner rib or a larger fattier rib? That is up to you, but I would suggest purchasing your ribs at your local butcher if possible, as the quality of the prepackaged ribs at chain grocery stores varies greatly. Regardless of choice, the one thing that’s consistent across all pork ribs is the need for a bib and a roll of paper towels!